19.12.2018 | Wasserbillig/Luxembourg – Ottawa/Canada – Today, pjur group North America Inc. and WOW Tech™ Group announce a new strategic marketing and sales partnership to grow the pjur® brand and sales in the North American market. Effective, January 1, 2019 pjur group will be represented and distributed in the US, Canada and Mexico by WOW Tech Group. pjur group’s headquarters in Europe will continue to provide dealers with direct marketing and communication support that will now be enhanced by in-market know-how, additional sales team members, and new marketing and PR initiatives offered by WOW Tech. Immediately, dealers will see the pjur US sales and customer service team expand from two to ten team members. As a result, B2B customer contact and pjur presentations will increase. The company aims to take part in ten industry shows plus a further nine distributor and retailer shows. 1,500 customer visits, trainings and seminars are also on the agenda in North America alone. Frank Ferrari, President of the WOW Tech Americas regards the collaboration as extremely promising: “With its portfolio of premium products, pjur embodies the same values as us. After all, quality is – and always has been – a top priority for pjur and for We-Vibe and Womanizer. As a result, our goals align perfectly. This partnership offers huge potential and we will achieve a great deal together.” pjur Senior Sales Manager John Marinello and Grace Sanchez from pjur’s customer service and office management team will also join the WOW Tech sales team and continue to be on hand to answer dealers’ questions. “This will significantly raise the profile of our brand in North America. 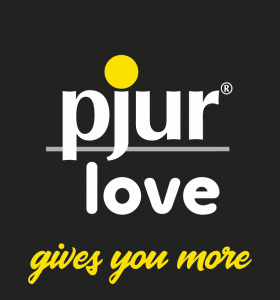 The customer benefits resulting from the exclusive collaboration with the WOW Tech Group can be seamlessly integrated into our “pjur love – gives you more” campaign, which will continue to be a key focus area for us in 2019. By working together, we will be able to give dealers MORE service and MORE pjur brand power,” adds Alexander Giebel, Founder & CEO of the pjur group.